David Walker at Photo District News has taken a look at several legal issues related to large-scale photo shoots, ones where “assistants” are routinely hired to help with the production. The common industry term “assistants” means something different in New York and California. Most of us think of assistants as independent contractors, paid a flat rate to work on a shoot. In two states, it means they are employees and have to be paid at the end of the day, with taxes taken out and have a workers’ comp and unemployment insurance in place. That is a game changer for a lot of budgets. This is worth a close read. 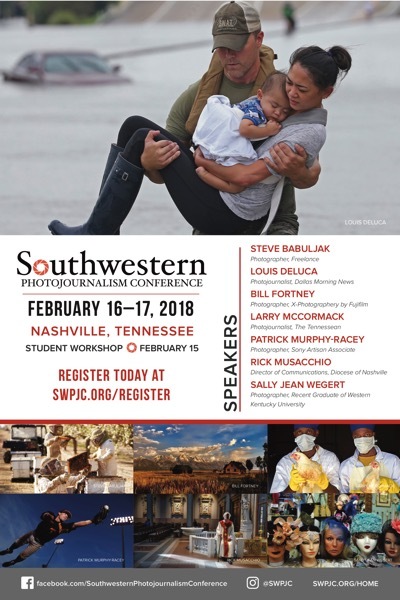 Southwestern Photojournalism Conference Moves … East? Yep, what has been in Texas for years is now in Nashville, Tennessee, February 15-17. I’ve heard many great things about this event and, if I didn’t have a conflict, I would head there myself. I’ll admit to suffering from nostalgia. I like old cars – on the weekend, when I don’t need to be anywhere. I like old cameras – for the mechanical precision and the engineering sensibilities. I like old houses – for they have stood the test of time and adapted. And I still read print, on the weekends, when I have the time to peruse and then wash my hands. But, on all other days, I like my digital cameras that don’t force me to be exposed to toxic chemicals. I like my reliable, safe modern car. And I like my news delivered in the most appropriate medium, and that isn’t always text and still photos on a printed page. Still, this is kind of cool … I remember touring the Globe and seeing the presses as a kid. I remember my few meetings on Morrissey Boulevard when I was looking for work or buying a lens from one of the staff photojournalists there. The scent of ink will always be a little sweet to me, in the same way the smell of my 51 year old Mustang is nice on a Saturday morning … but not on a Monday commute. The morning brought news that Fidel Castro had died at the age of 90. A click to The New York Times brought me to this video that has some of the amazing work that Jack Manning did during a short trip to Cuba in 1964. Even if you turn the sound down (which I don’t recommend you do, as Richard Eder’s story is fascinating), the images are a text book example of how to document a person within their place and time. 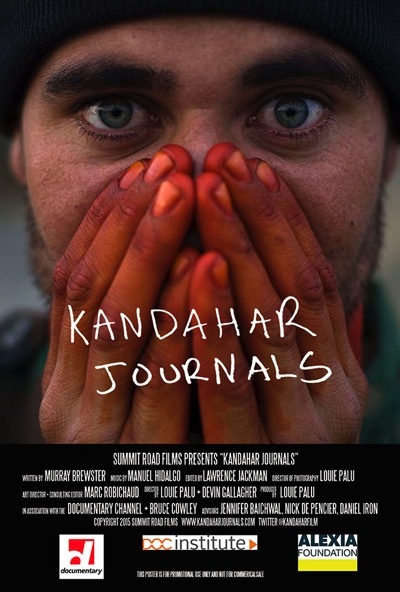 As part of our McGill Symposium on Wednesday, October 5, we will be showing Louie Palu’s documentary on his time in Afghanistan here at the University of Georgia’s Henry W. Grady College of Journalism and Mass Communication. Kandahar Journals looks at his time covering the war and its effects on his psychological transformation. Doors will open at 7:30 and we will start at 8 a.m. in Studio 100 of the Grady College building. Free parking is available in the N09 and N08 lots at the corner of Hooper Street and East Campus Drive. To enter the building, use the entrance next to the exterior stairs on the Sanford Drive side of the building. No admission charge and Mr. Palu will do a Q&A after the showing. Some substantial scholarships and awards available for upcoming Momenta Workshops, worth looking into. 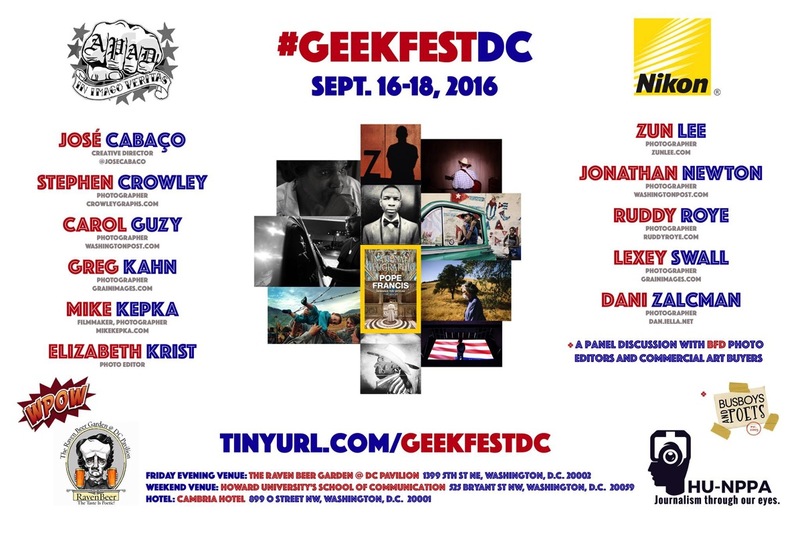 Looks like a great lineup at this year’s GeekFest in Washington, D.C. Get registered, folks. The Envision Kindness Student Photography and Film Contest is now accepting entries. This is a pretty cool idea and not just because it involves one of my good friends. The idea is to celebrate work that celebrates kindness an compassion. A good news competition, if you will. Updated for the 2016 competition season, worth plowing through as it gives you some insight into the benefits and risks of more than 30 contests worldwide. Do You Work For Free? Why Do You Want Me To?